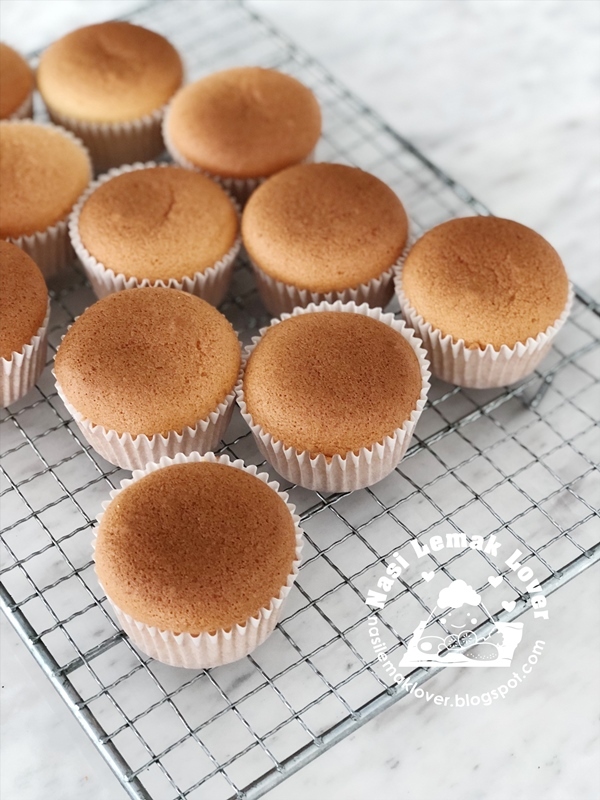 Love this slight buttery, a hint of salty and not over sweet little cupcakes, texture is light and spongy, perfect to enjoy with a cup of coffee ! 1.Line 12 holes muffin pan with baking liners. Set aside. 2.Sift cake flour in mixing bowl, set aside. 3.Melt butter over low heat , pour into mixing bowl and mix with flour till well combined. 4.Add in condensed milk , whole egg and egg yolks, stir to mix well, set aside. 5.Add lemon juices into egg white , beat till foamy. Gradually add in sugar three batches and beat meringue till close to stiff peak formed . 6.Use a hand whisk, add 1/3 meringue with egg yolk batter, stir till light . 7.Change to a silicone stapula , gently mix meringue in two batches till well combined . 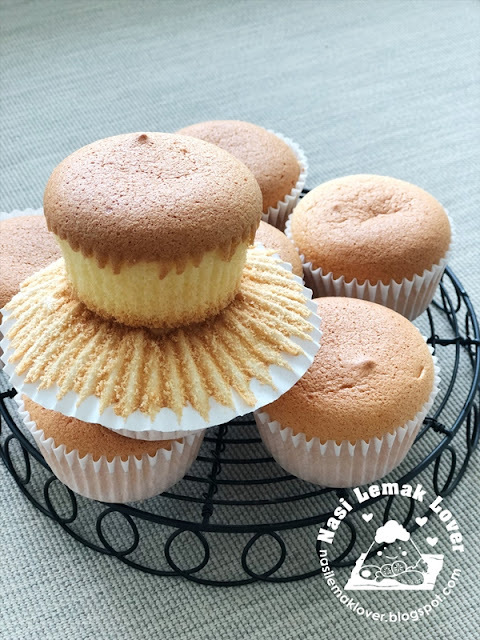 8.Fill cake batter into cupcake liner till 90% full. Tap the pan on countertop to remove air bubbles . 9.Bake at preheated oven at 120C ( for my oven, second rack from bottom) for 30mins, then increase temp to 150C, bake for another 10mins. Off the oven and let the cupcakes sit inside the oven for another 5mins before removed . Adjust your oven temp and timing as every oven is different. 10.Lightly tap the muffin pan on countertop to minimize shrinkage .